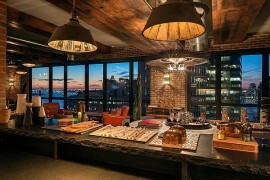 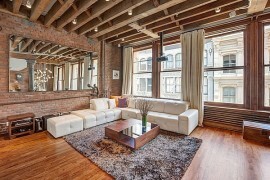 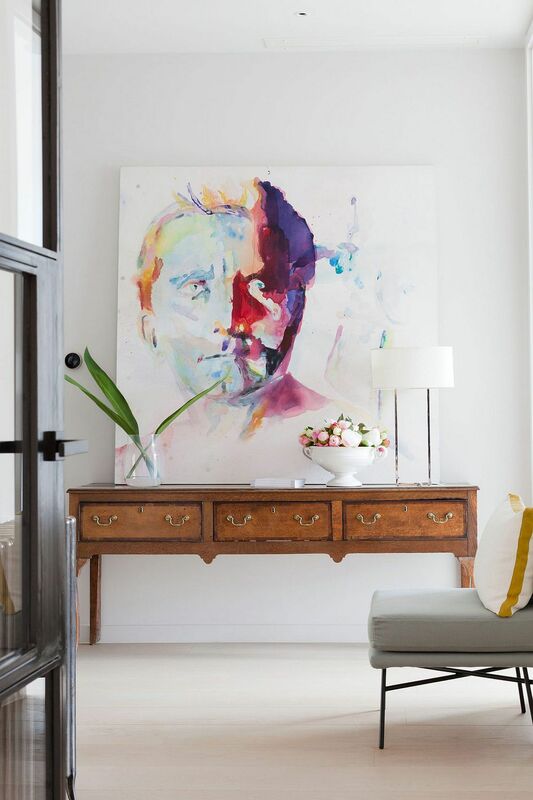 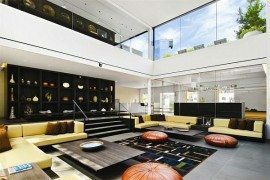 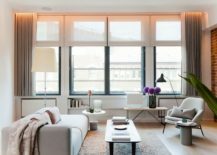 Are you fascinated by those breezy, cheerful and art-filled lofts of New York City and their unique flavor and style that seem so very chic and refined? 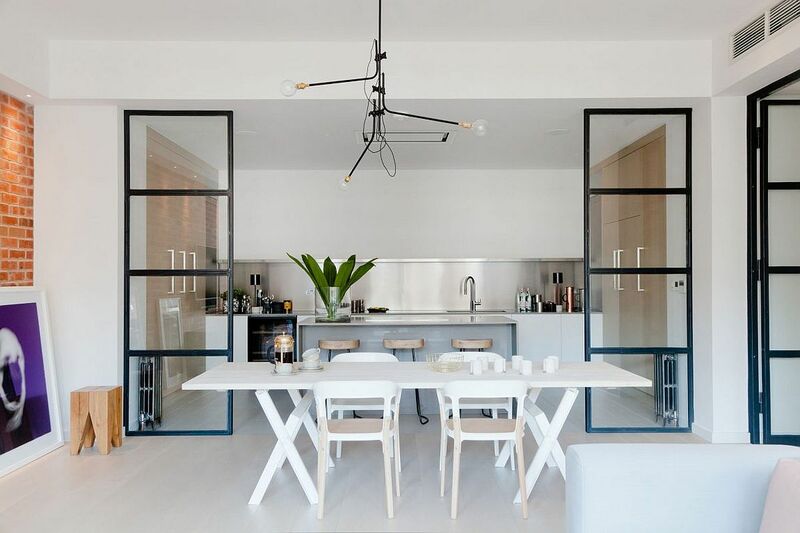 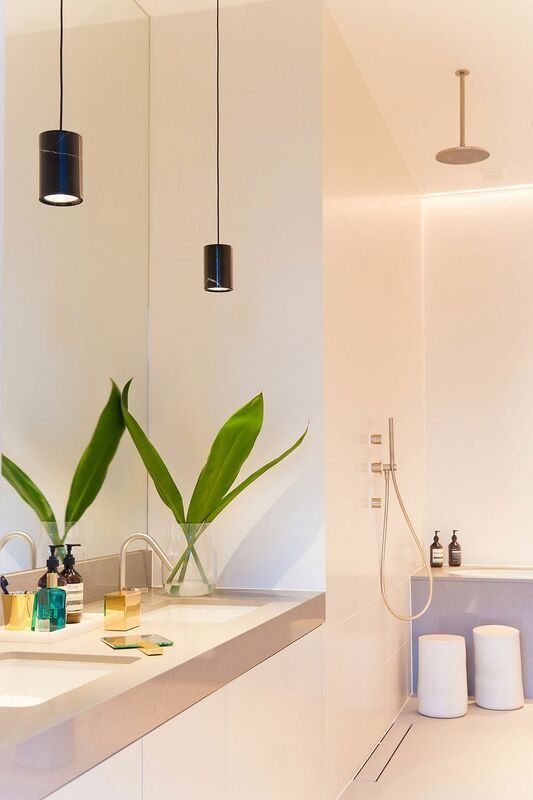 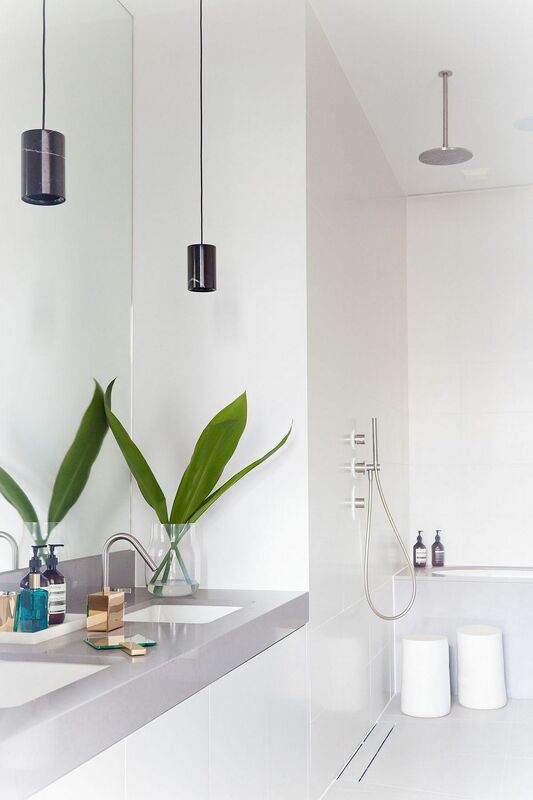 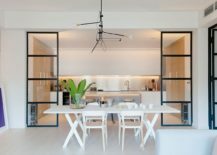 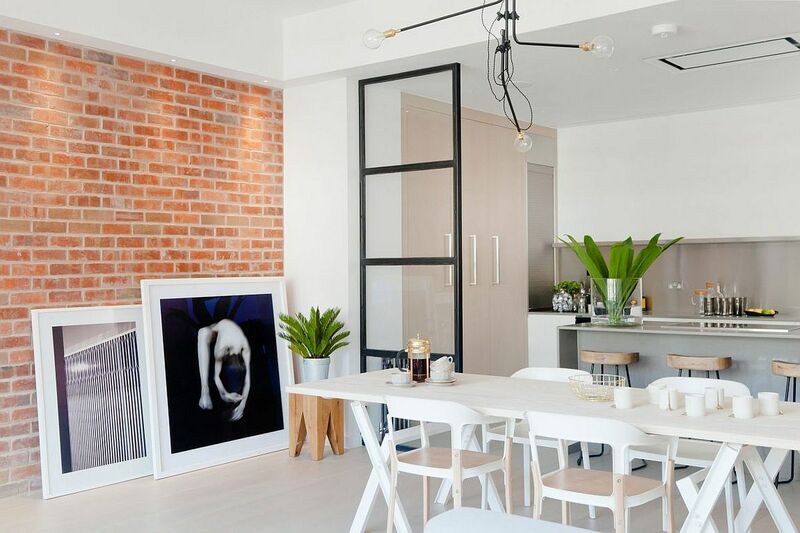 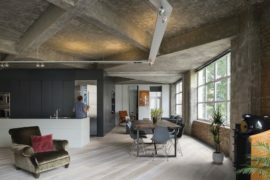 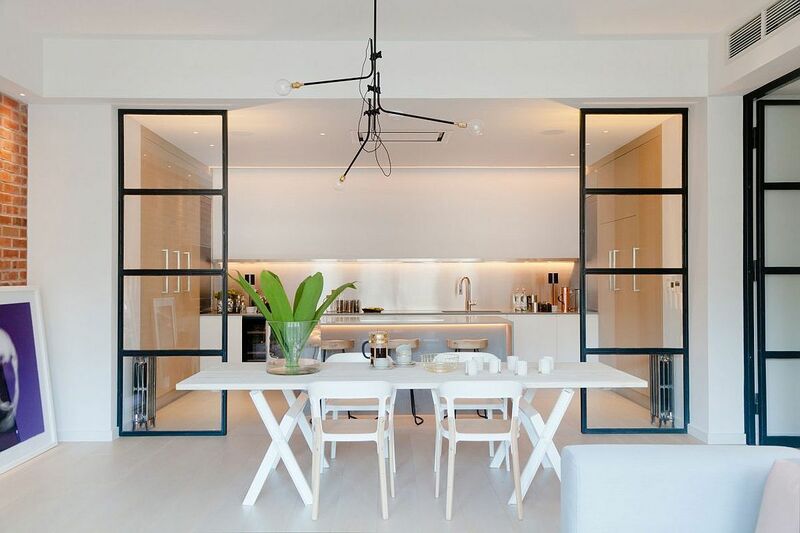 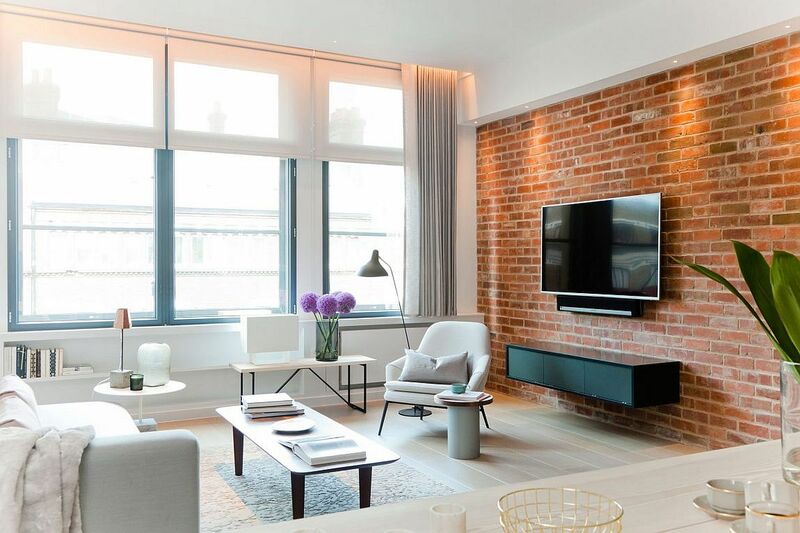 You are definitely not the only one, and whether you love the SoHo decorating style or just adore the modern industrial tinge of NYC’s many mesmerizing lofts, you will instantly find this gorgeous renovated penthouse in Shoreditch, London an absolute visual treat. 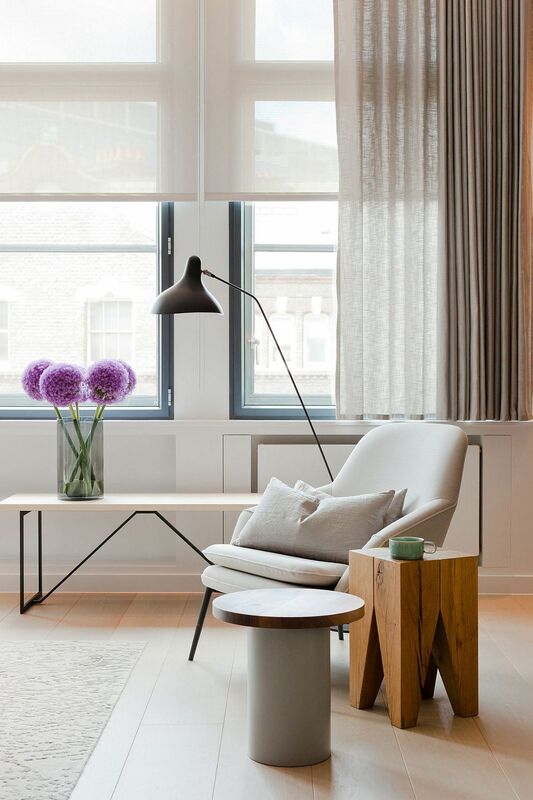 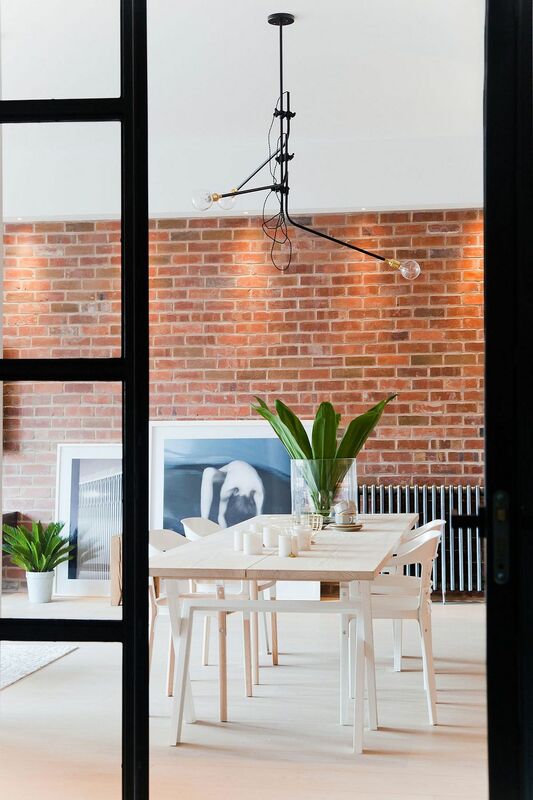 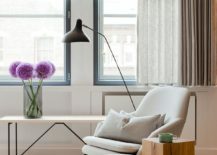 With exposed brick walls, dark-framed windows that are such a staple of the SoHo style, and of course, an interior that gleefully drenches itself in plenty of white, everything about this London home points to the homeowner’s love for the Big Apple! 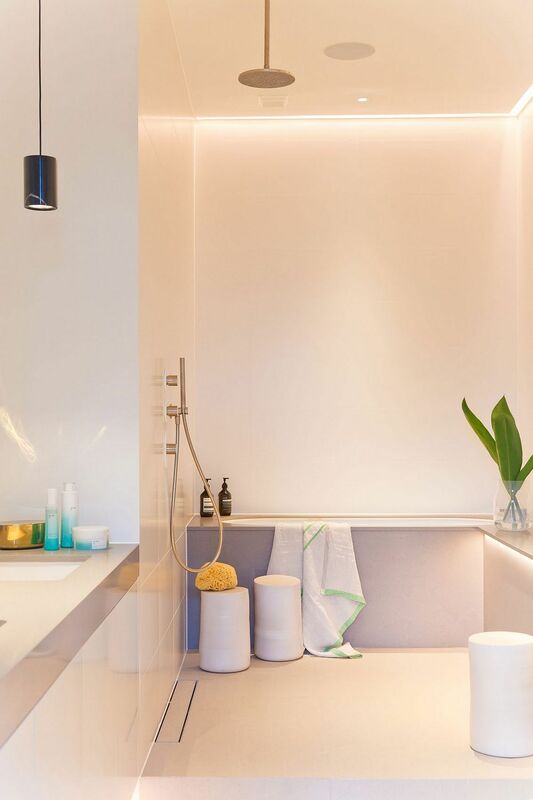 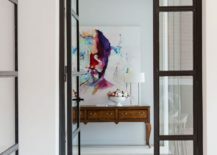 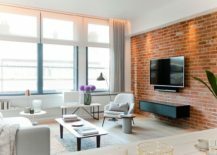 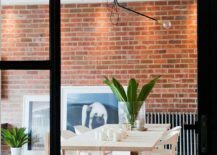 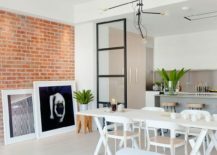 Designed by Callender Howorth, the makeover started by bringing alive the original brick walls of the penthouse and by giving them a new lease on life. 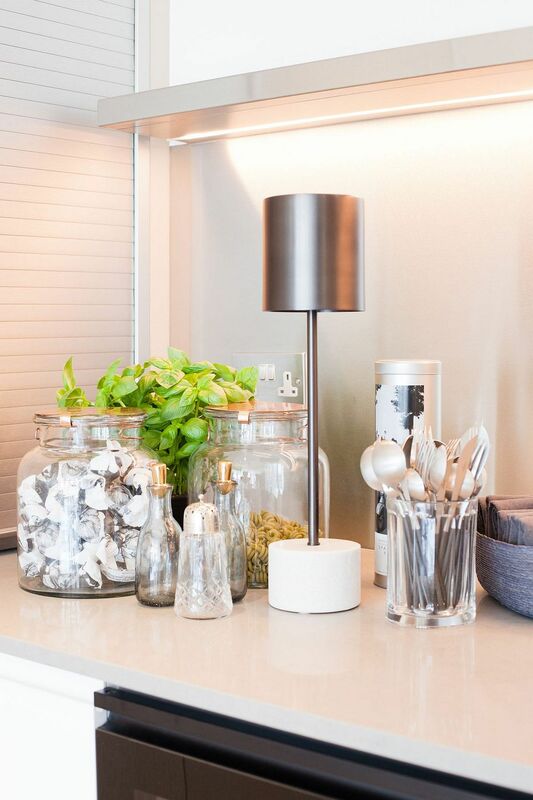 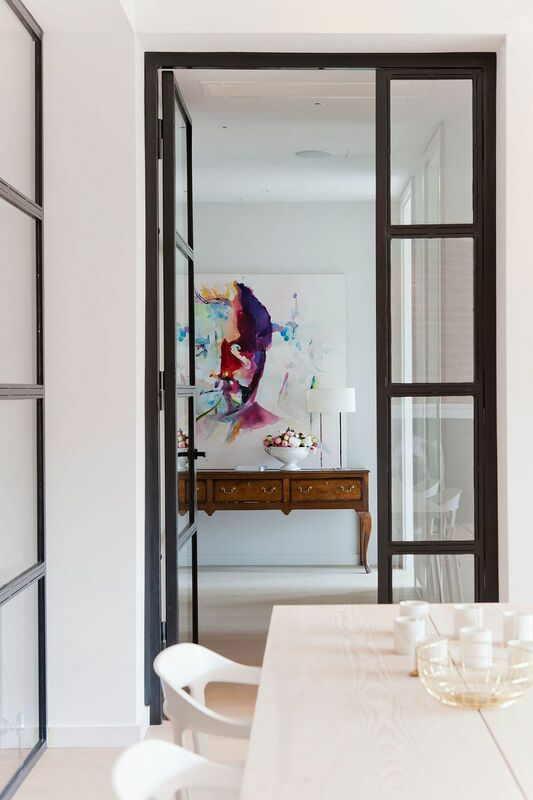 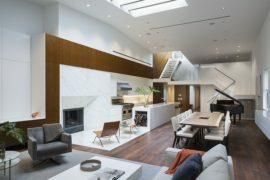 Creating more visual space was absolutely necessary in order to give the interior a ‘loft-like’ visual appeal, and this was done by combining the smart use of natural light and a color scheme that relies heavily on white with an open living area that flows effortlessly into the dining area and kitchen. 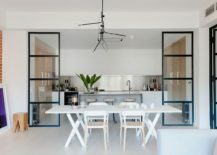 Simple glass partitions enhance this sense of spaciousness, with quirky little accessories providing a hint of edginess and contrast. 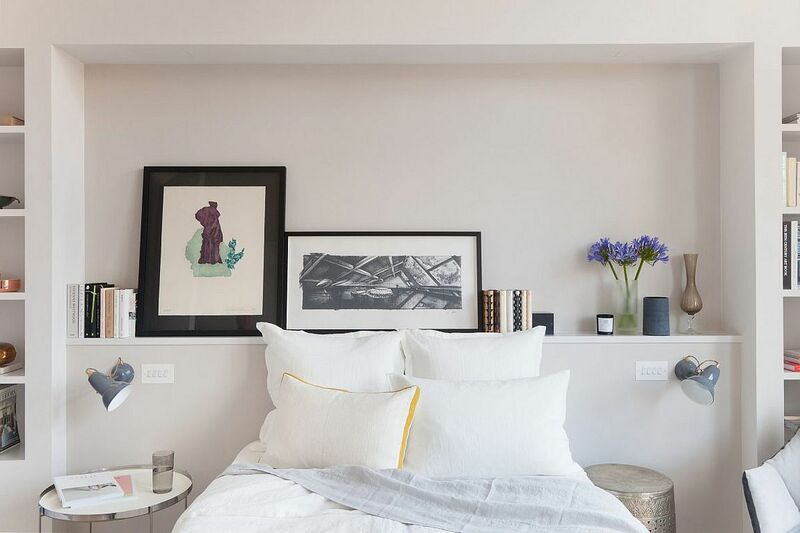 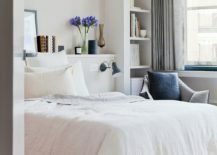 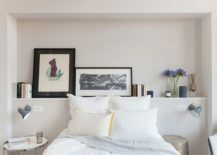 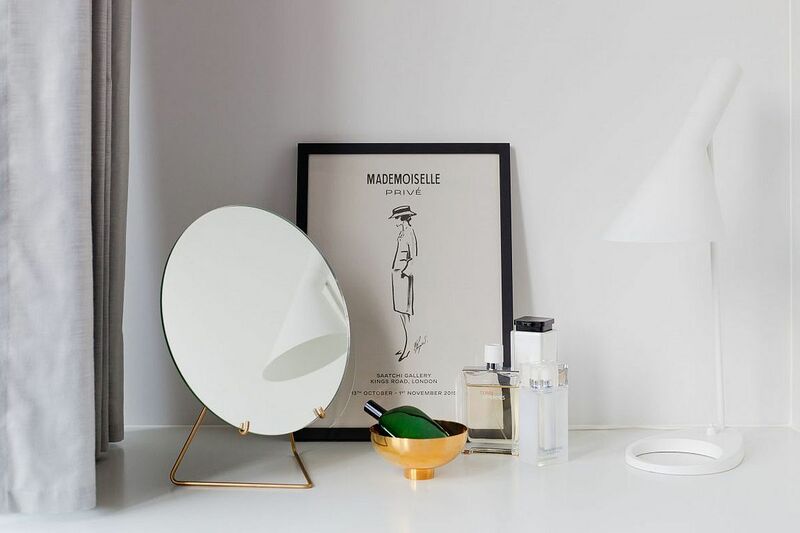 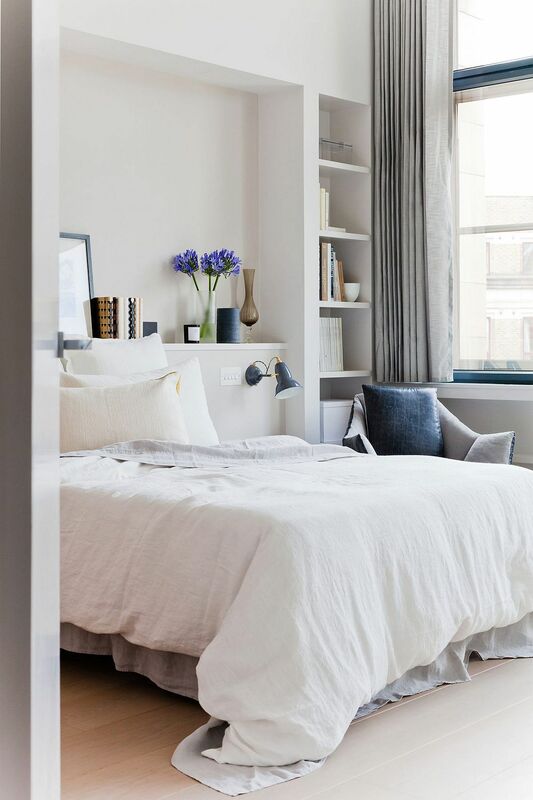 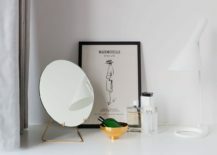 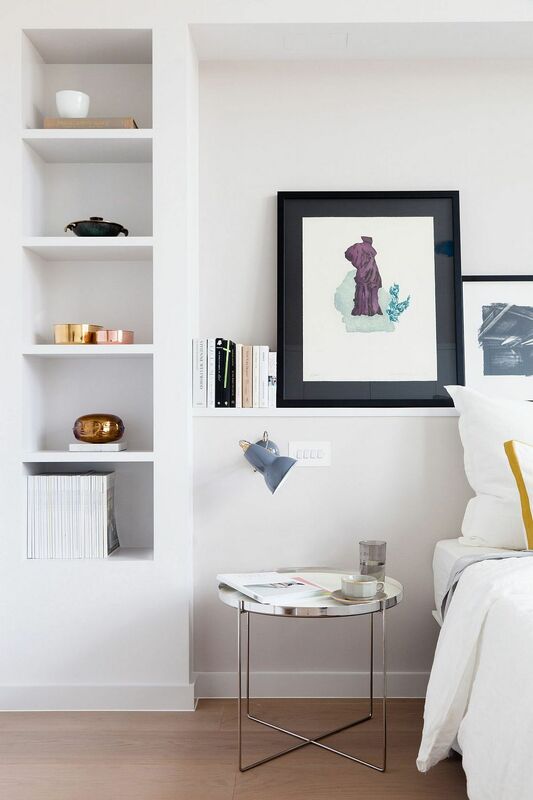 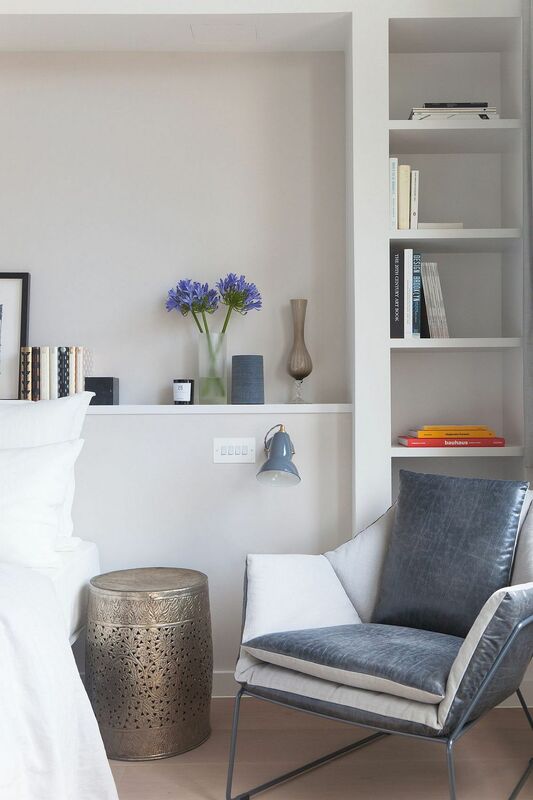 Even the décor used inside the apartment is largely draped in white to reduce visual fragmentation, and the bedroom also embraces this design approach, with space-savvy shelves and bedside tables creating an ergonomic setting. 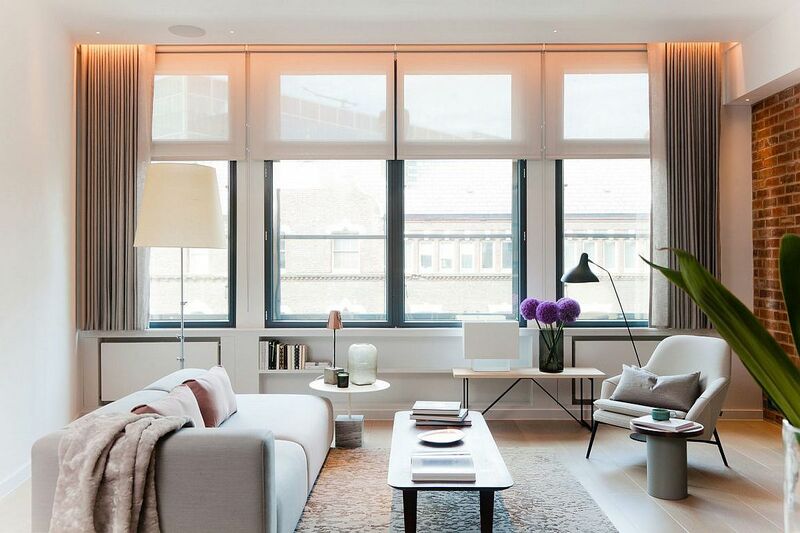 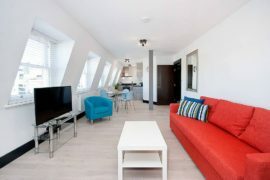 Polished, practical and serene, this fabulous penthouse brings New York City to London with panache!